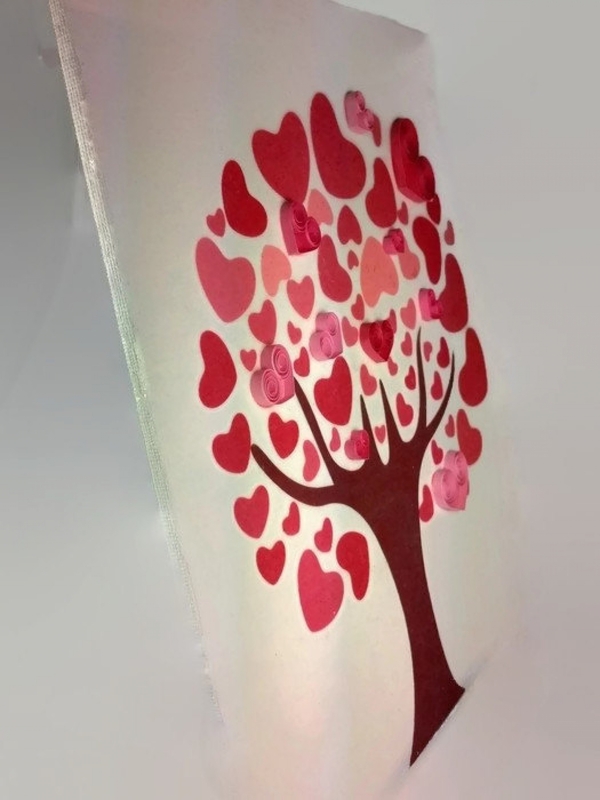 This unique love tree print is the perfect romantic anniversary gift for him or her. 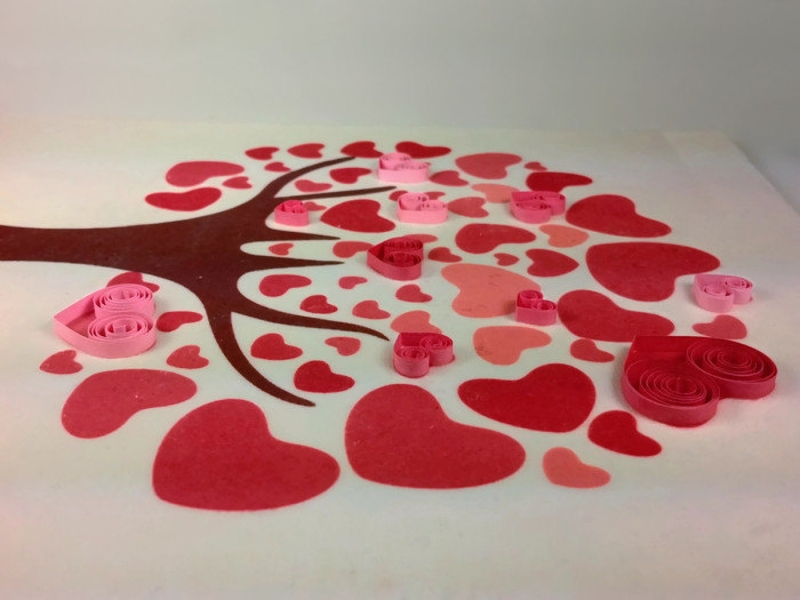 The wall art piece features an image of a tree with hearts as different sized leaves in shades of pink and red. 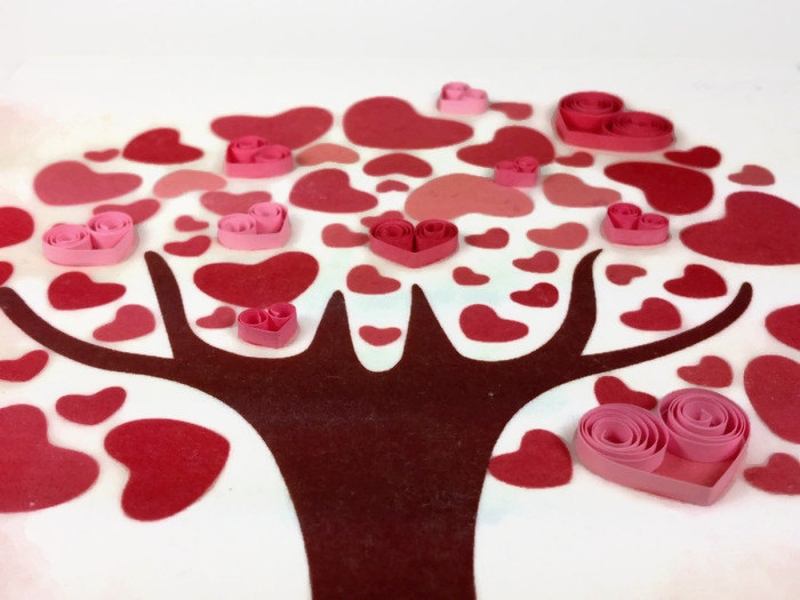 A selection of the hearts have been carefully embellished with paper quilling, imparting eccentric elegance throughout. 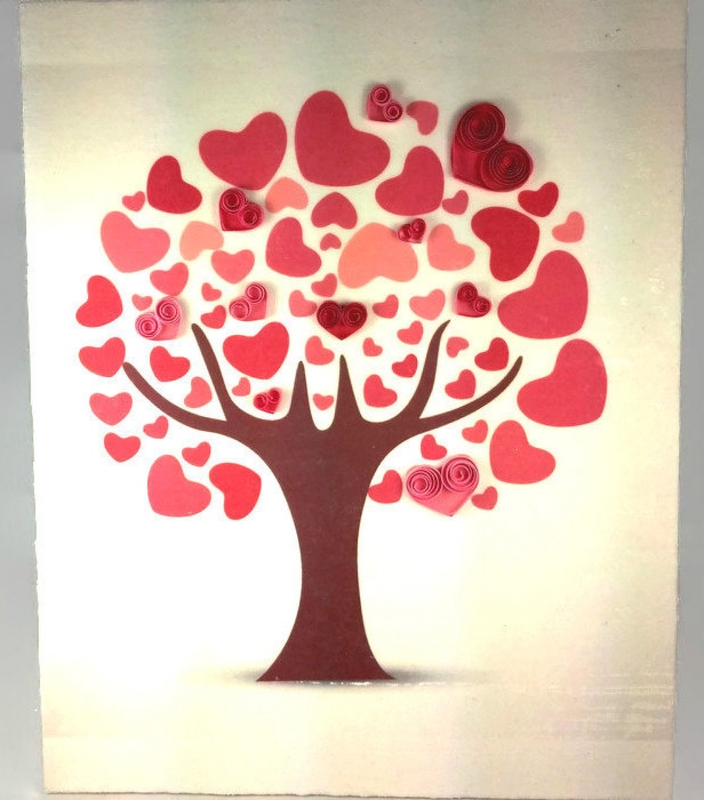 It would be ideal as a Valentine's Day gift or an anniversary gift, particularly first year paper anniversary (heart embellishments are made with paper) and second year cotton anniversary (the piece is on cotton canvas)! 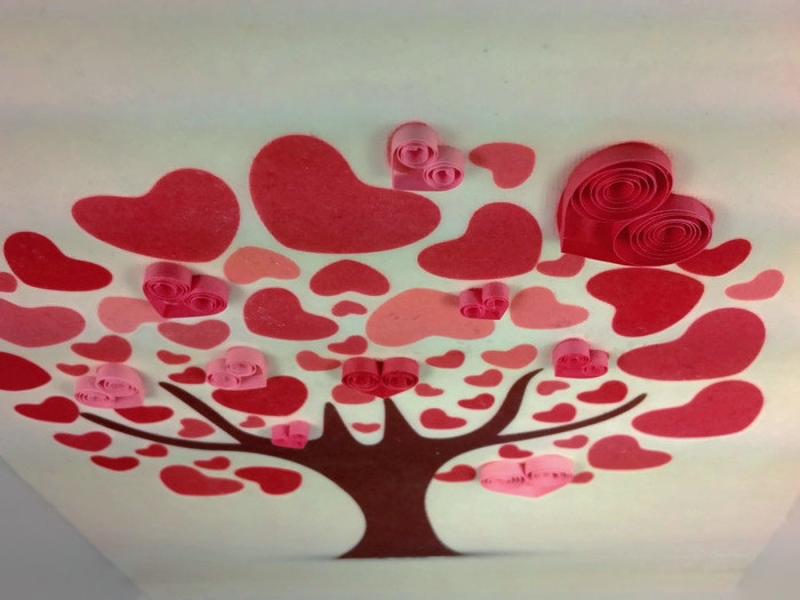 It is a truly romantic yet whimsical piece that is sure to make your space more meaningful. This piece measures 8X10 inches on a canvas panel. The image is created using gel medium transfer of ink from paper to canvas. Due to the unpredictability of gel transfers, the image has some imperfections and a slight overall distressed look, adding character to the piece. It was made with care and will add a bit of wow to your wall. This piece is unframed. All wall art will arrive gift wrapped in tissue paper with a ribbon and optional gift tag, ready for giving. If you like this but have a particular subject matter in mind, please message me for a custom order!